It is undeniable that sometimes the world can be a bit of a dreary and dark place, however, you need to experience the dark to see the light. Therefore, whilst it is important to focus on the serious things in life that are burdening us, we also have to focus on the things that bring us joy and a smile to our faces. That is why, we need to do as Google says and join the party for a happy planet because today is the third official International Day of Happiness as designated by the UN. Initially created by the UN in 2012 to encourage member states to prioritise happiness as a fundamental “human goal”, the International Day of Happiness is now held annually on March 20th and means if at least for one day of the year, we should consider the things that make us rejoice. -being in the hospitality industry, one of things that makes us smile the brightest is going as far as we can to deliver the ultimate guest experience and to know that we have succeeded in making our guests smile in return. 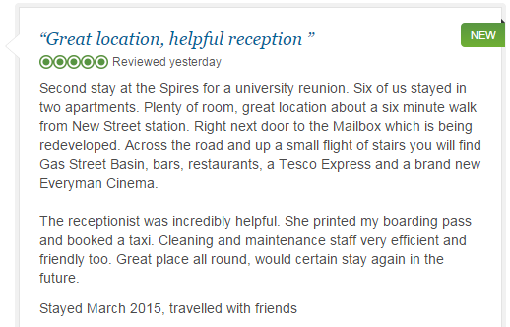 That is why Trip Advisor reviews are such a key reason for our happiness as it is great to hear first-hand how our guests stay was and what made their stay (hopefully!) enjoyable. It helps us to determine what to keep on doing and what to improve upon. 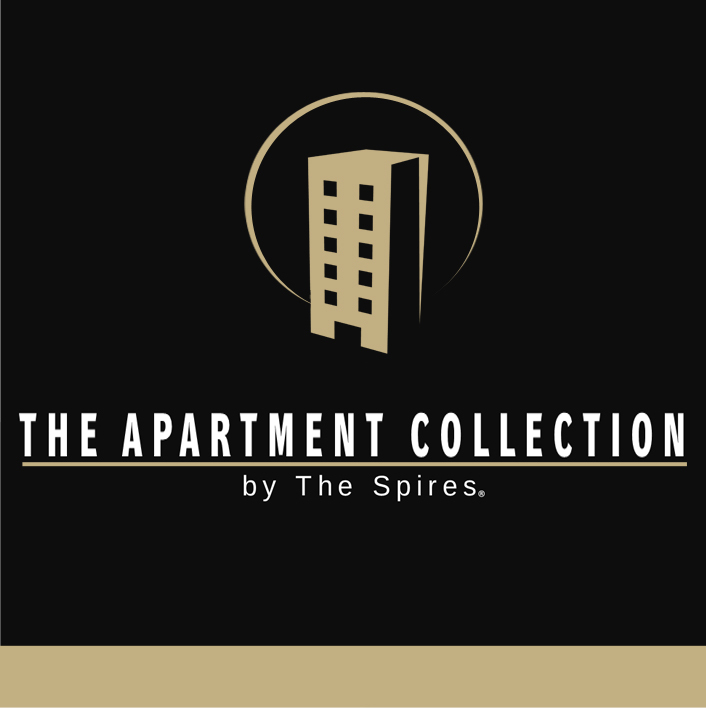 -this is the latest development at The Spires and sees us become a serviced apartment agent as well as a serviced apartment operator. As a result, we are now a one-stop-shop for all our customer’s serviced apartments needs and so whether they want to stay in the UK or even in far-flung locations like Asia or Australia, we can make it happen. Therefore, we are happy to be expanding our business in such a new way and to be in a better position to satisfy our guests. 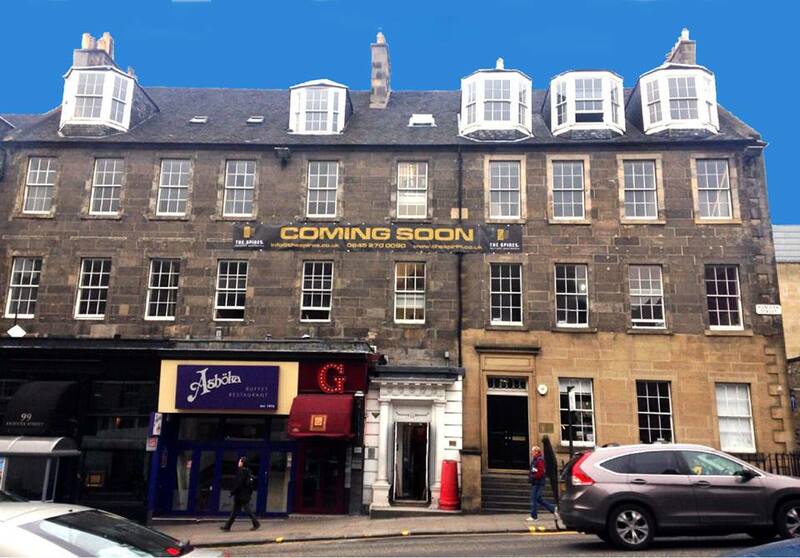 -a fellow exciting new development for The Spires is the upcoming summer opening of our Edinburgh location. Getting to be located in the city centre of Scotland’s stunning capital which is frequently awarded with accolades for things like being Europe’s Leading Destination, is definitely a reason to smile as we can accommodate an even wider pool of guests. -whether they are new guests or loyal customers, happiness always stems from the arrival of guests to The Spires. It is a new chance to make another positive impression and to hopefully make another happy guest. -being under the umbrella of the tourism industry, travelling is something that we all love to engage in. Whether it is going to exotic locations like Dubai to liaise with potential suppliers on a business trip or even just taking mini-breaks to one of our respective locations like Birmingham, there is always happiness in escaping from reality and getting to experience new places and faces. -today is not just the International Day of Happiness but also the first day of spring. What can bring more smiles to your faces quite like warmer weather, beautiful daffodils, lighter mornings & nights and of course; the mighty generous Easter Bunny. When chocolate eggs are on the horizon, there is always a reason to be happy. -it is the universal holiday around the world; Friday afternoon. Whether it is simply a relaxing weekend spent at home or an activity intensive mini break, the weekend is a time to detox and de-stress from the week and re-charge our batteries. Now there is no one who can say the weekend does not make them happy! -I warned you that the cheese was coming and here it has arrived in all its cheesy glory! I cannot speak for everyone, but working at The Spires definitely makes me happy because I have the chance to work with some of the loveliest people who are passionate about what they do and I have the chance to learn things which should hopefully serve me well for the future. We told you what makes us happy, now tell us what makes you happy!